Rightsizing can be a very emotional stage of life. Leaving a home where you have lived for many years is difficult. Warm memories and positive life experiences are no doubt part of your years spent in this home. Take some time to honestly answer the questions in the survey “Should I move or should I stay”. Warning – this exercise is likely to evoke some strong emotions! Understanding RightSizing: An emotional Life Decision! Rightsizing: Your time to transition to a peaceful clutter free life! Proven plan of action for navigating the rightsizing process! Your Step by Step Guide to Mastering the Rightsizing process! This process will bring up so many memories. What if it is too emotional for me to handle? It's true! This process can be very emotional, BUT we’ll partner with you to walk the path. It is a grieving process and it is healthy to grieve. A new season lies ahead and holds good things for you. Sharing stories during the process is important. We love to listen! We cry with our clients all the time. We’ll move at your pace. If you need to remove yourself from the process to take a break that is ok! I have too much stuff. What will I do with it all? We’ll help with the physical task of sorting things out so that you can see like things together. This helps to make the decision making process easier. We'll load up items for donation and deliver them to the agreed upon location at no extra charge. I lack the physical ability and/or energy to do this on my own. I don't know where to start! We’ll be your hands and feet. Sessions of varying lengths can be scheduled to meet your energy level. We do the physical labour. You can direct us from the comfort of your chair 🙂 Our staff is fit and able to do what needs to done. What if my kids don’t want my stuff? This is often the reality and that can be heartbreaking! Often the kids have their own homes established and furnished and they don't want items that we had hoped they would. Senior's Move has lots of options for dispersal. Once all the decisions have been made it still needs to be packed, moved and unpacked. It exhausts me just thinking about it! What if someone takes advantage of me during this process? We have been around since 2004. We don’t take advantage of our clients or we wouldn’t be in business. Word of mouth referrals are very important to us! As you know, this has been extremely difficult on all of us - but mostly my dad. What a year it has been for all of us as we still are grieving the loss of my mom. Honestly - I am not sure what we would have done without Senior's Move. It has made this difficult situation just a little bit easier - especially since we are all located all over the place and the time of year has been really hard on all of us to get home. My dad obviously felt comfortable with you and it has made the world of difference. It seems like the finish line is in sight and hopefully without the pending ‘stress’ over his head - he can start to ‘adjust’ and move on with his life. Anytime you want/need a reference, I know anyone from our family would happily provide it! A service like this is probably expensive. You are paying for peace of mind. When you hire Senior's Move, we guarantee that all the details will be looked after. The t’s are crossed and i’s are dotted. We take care of the whole rightsizing and move package if that is what you decide. You are welcome to spread out the cost. We require a down payment early in the process and rightsizing sessions are pay as you go. We manage all the parties involved in you move process, and issue one invoice to cover all services. We are detail orientated. We remember to book the elevators and we're sure there are enough wardrobe boxes on move day to accommodate all your clothing. 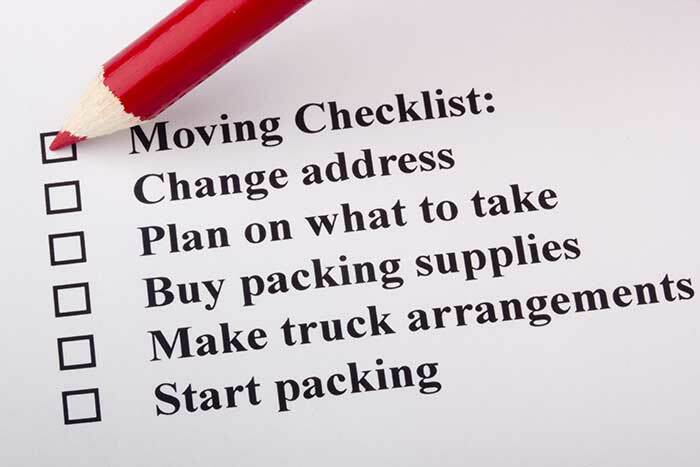 We supervise the movers as they blanket all your treasured furniture items and transport them to your new location. No surprises!